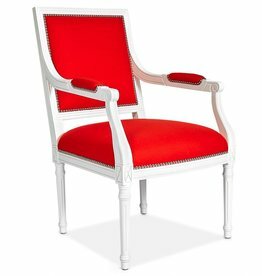 The Worlds Away Anabelle chair lends bold contemporary style to living rooms, dining rooms, and bedrooms. 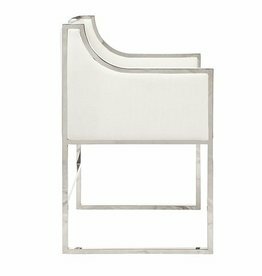 Upholstered in stunning white velvet, this occasional seat's sleek nickel frame offers angular modernity. 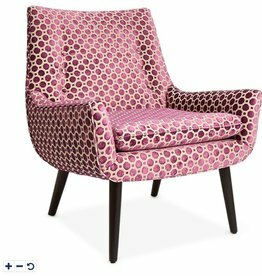 The Worlds Away Anabelle chair lends bold contemporary style to living rooms, dining rooms, and bedrooms. 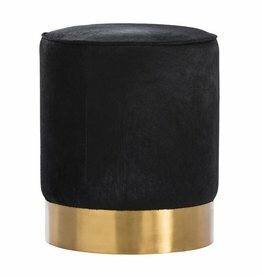 Upholstered in stunning white velvet, this occasional seat's sleek brass frame offers angular modernity. 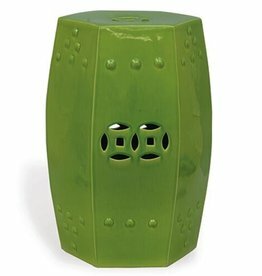 Use indoor or out, this Port 68 apple green garden seat adds a splash of color to any room! 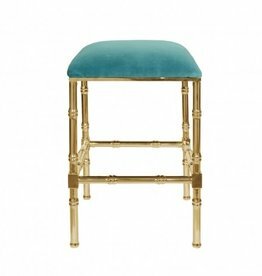 The Worlds Away Sadler counter stool offers a glam twist on Palm Beach style. 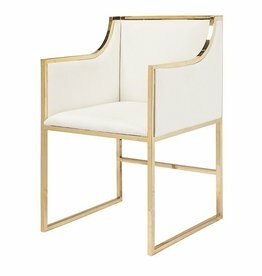 A bamboo-inspired, brass-plated frame upholds a luxe white leather seat for sleek contemporary allure. 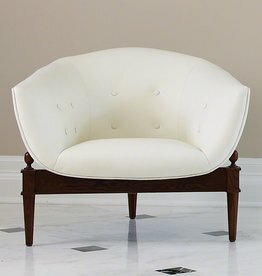 Organic and sustainable, this dramatic and comfortable chair throws a curve wherever it's used. 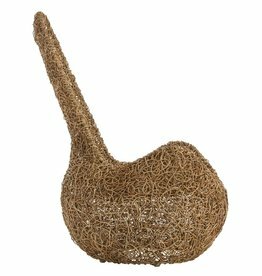 It is made of hand woven boiled willow branches over a painted steel frame. 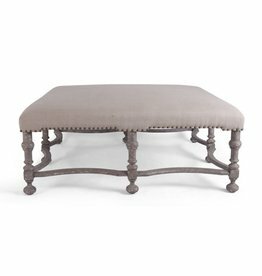 Mix it with wood or iron to add a layer of texture and dimension to any room. 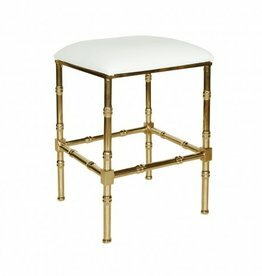 • Product Dimensions: H:19" D:48.5" W:48.5"
The Sadler counter stool offers a glam twist on Palm Beach style. 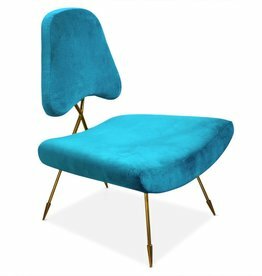 A bamboo-inspired brass-plated frame upholds a luxe turquoise velvet seat for a bold pop of color.